English shrub rose with clusters of medium sized, double, white flowers, repeating freely over a long period in summer. Fragrant. Sturdy bushy habit. Best pruned in late summer, after flowering. Raised by David Austin Roses, 1988. 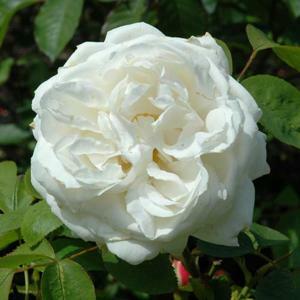 A white sport of Rosa 'Mary Rose'.